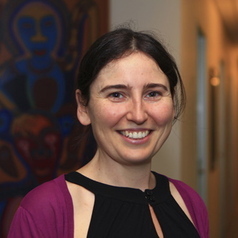 Dr Bethaney Turner is an Assistant Professor in International Studies at the University of Canberra and member of the Centre for Creative and Cultural Research in the Faculty of Arts and Design. In a significant departure from her doctoral work on social revolutionary movements in Mexico, her current research explores the variety and complexity of the relationships between people and the food they grow, buy and consume. From local community gardens to global debates about food security, this research analyses the role food plays in the formation of subjectivities, practices of meaning-making and understandings of place.